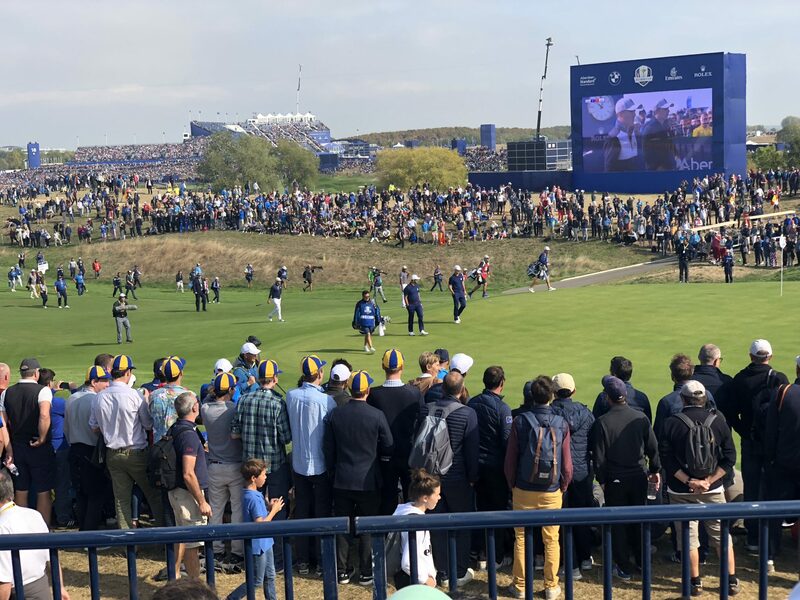 The Ryder Cup last weekend in France was absolutely fantastic. My husband and I had planned to go to the Ryder Cup over two years ago. This year is our 25th year of being married and we wanted to celebrate all year. Attending this amazing golf tournament was in our plans. Even if you aren’t a golfer, stick with me. I wanted to make some observations about how our mindset and psychology is closely tied to any success we are seeking in life. Before that though, let me tell you how the weekend went. We arrived Wednesday before it all began. Thursday was a practice day and a chance for us to walk the course and suss out where everything was. 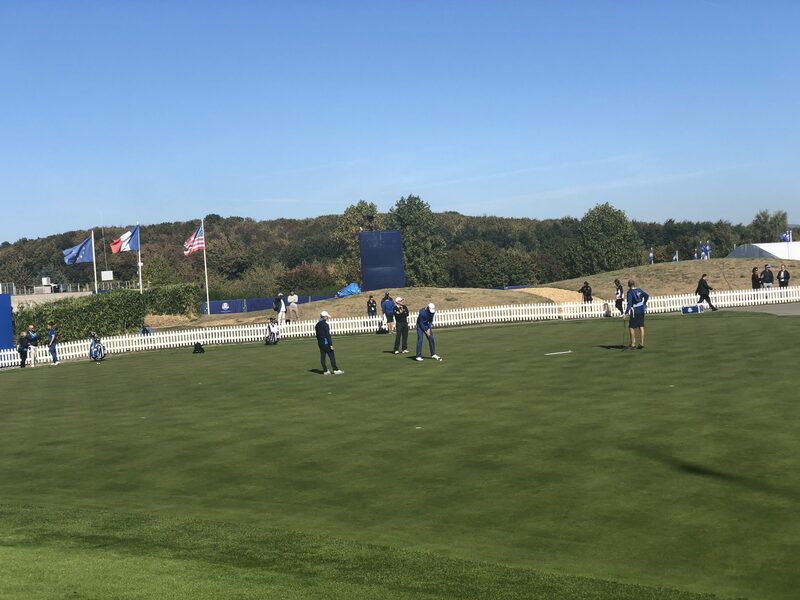 Then on Friday the Ryder Cup began. We had booked our trip through Your Golf Travel and I can’t praise them enough. Although we had a scary start when our tickets were posted to the wrong place. Yikes. Thanks to my daughter that was solved. In the price we paid, everything included our admission tickets to every day, transport to and from the course, our hotel, a free rain jacket and hat, and a number to contact if we had any problems. Everything went like clockwork, enabling us to enjoy every single second of the golf. Who Won The Ryder Cup? The tournament is between the USA and Europe and takes place every two years. One year its played in the USA and the next one is played in Europe. This year it was held in Europe in Paris. Europe won the cup this time and although it was close at times, in the end they won with a big margin of points. What’s The Ryder Cup Got to Do With Business and Mindset? In answer to the above question, in my opinion, it has everything to do with Mindset. Important to know because in any area you might work in, if you want success, you have to have the right attitude and frame of mind. I witnessed a lack of this in some of the players, even on the winning side. I could tell which players were absolutely focused and those that weren’t. The ones that lacked total mindset, didn’t win their matches. One particular player, (a European) played erratic golf at times without concentration. When it was applied he hit the most marvellous shots. When he didn’t he made a complete hash of it. The other thing that was blatantly obvious was the way the European team played as a TEAM. They gelled together and encouraged each other every bit of the weekend. This was NOT evident in the losing side. If you work within a team, or you lead one, this is crucial to your success. Optimism comes into play as well. This brings positivity to a person, and a belief that they can win at anything if they apply the right attitude. 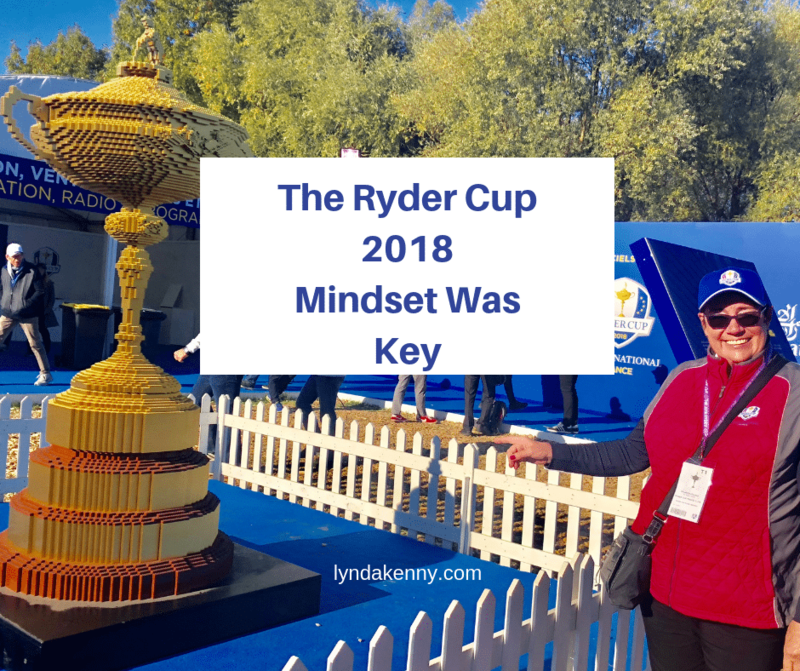 Can you see a co-relation to sport mindset and business/life mindset? How Can You Achieve A Strong And Positive Attitude? Firstly, always have an optimistic mind. People who are continuously pessimistic will always see the negative in everything. If you are more positive, even on the bad days, you will march on and be determined to reach your goals. Decide to pay attention to how you are, how you want to BE. Hire a coach who will help you. You need to have Clarity. That is being clear about what you want and what’s important to you and your life. You need energy. This is not about going to the gym everyday. it’s about eating well, sleeping well, exercising regularly. Maybe going for a walk in the fresh air. Its important to take well earned breaks and not make your life ALL about work. You have to live as well. Courage is another thing to master. Being brave enough to put yourself out there and letting others know who you are and what you stand for. Having those difficult conversations is important as well. Your Productivity is dependent on having clarity and energy. I share tools with my clients so they can be much more productive. Influence is key especially when you are wanting to influence and impact other people. That was a trait evident in the European Ryder Cup team this weekend. Necessity is your compelling reason why. Its your purpose. 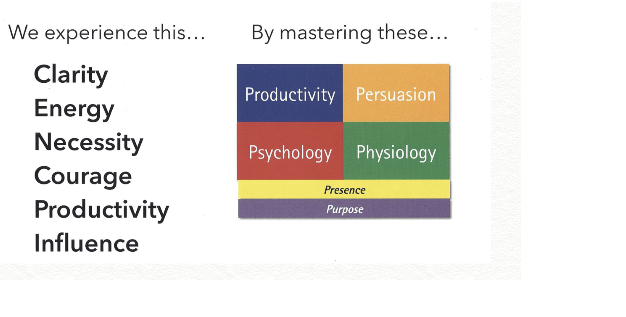 Putting Clarity, Energy, Productivity, Courage, Influence and Necessity together you have a winning formula for mastering your psychology, physiology, persuasion, presence and purpose towards building a strong mindset. I KNOW this works because I have seen the transformation in clients of mine and my fellow coaches in their practice. Of course you can reach success without a coach. However, if you want to get there a bit quicker and have someone having your back then having a coach could make sense for you. The Ryder Cup teams did have a Captain but they all have their own coaches and teams of support. That obviously demonstrates that having a coach isn’t always a recipe for a team WIN. There will be players though that do need to look at where it went wrong for them. I can assure you that they won’t do that alone. In business, sport or even life, having a positive attitude and applying a strong mindset is a much better option than being a pessimist who never looks on the bright side. Your No BS Coach in High Performance. 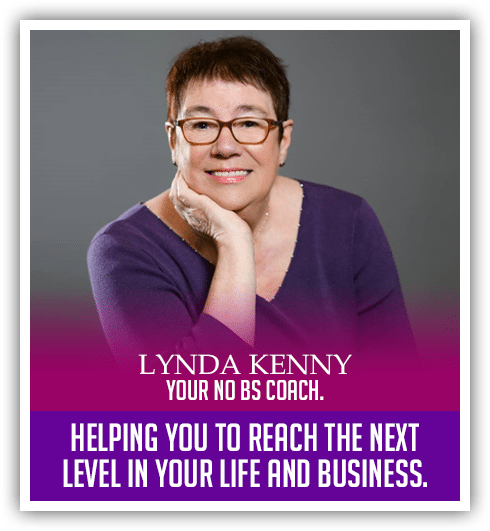 Helping You To Reach The Next Level in Your Life and Business.